It’s Friday and I look forward to the weekend ahead… however I am not looking forward to that looming pile of laundry! Anyone else doing laundry this weekend? If you are like me… you put off laundry until it must be done. Like when my husband has one pair of white socks left. I don’t know why he can’t just wear his black dress socks to the gym? Is that too much to ask? Okay I guess that is embarrassing or something… so the laundry must be done! I’ve got more than just one pile going too. I’ve got the large pile of socks, shirts, pants and the un-mentionables that need to be clean. Then, I also have a smaller pile of “things with stains” that take extra work! Ugh, stains. I wonder how many hours I have spent trying to fight stains? Do YOU have any stain fighting tricks? One stain fighting tip that I always rely on is to pre-treat it. I pre-treat tough stains by rubbing some detergent into the fabric and letting it sit for 5 minutes before throwing in the washer. The key is letting it sit for 5 minutes. I have gotten impatient before and just put some detergent on it and threw it in… not as helpful. My second tip is Purex Plus Clorox. 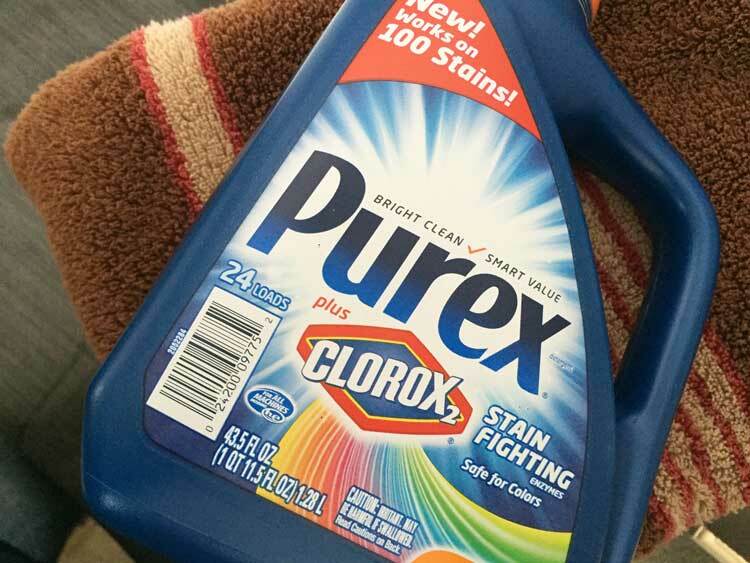 Purex plus Clorox 2 detergent is a strong fighter of stains! It is formulated to remove some of the toughest stains – in fact it has been tested and tried to work on over 100 stains! Whenever I see “Clorox” I always worry if is is only for white loads – but it is bleach free so it is actually safe for all colors and whites too! It contains an extra 3-stain fighting enzyme that is a powerful laundry boost! Alright, time to get to that laundry… and that grease, pasta and “unknown” stain too! 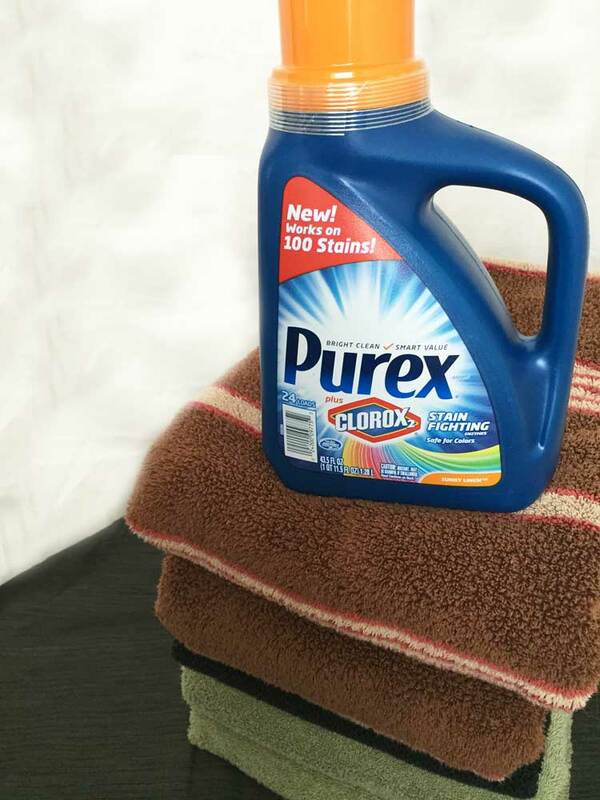 Giveaway – 3 Winners will win a Purex full-value coupon!